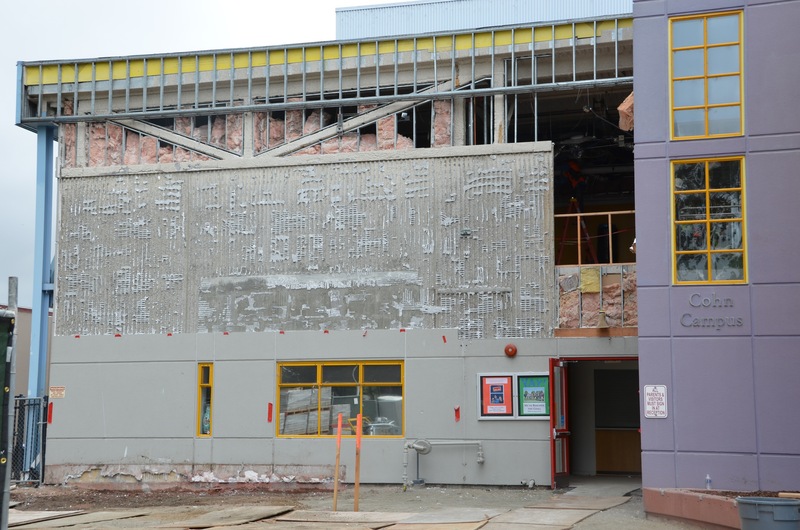 In the few weeks since school ended, construction for Phase One of the Expansion for Innovation has already brought many changes to Cohn Campus. Tall construction fencing now surrounds the front of the property, and a visit to campus now requires a hard hat. This Tuesday, a giant cement mixer was parked in front of the building, ready to pour the foundation for the new upstairs addition. While most ISTP staff has relocated to Cowper for the summer, a few essential staff members remain at Cohn amidst the construction, including IT Director Mathieu Farrugia, Director of Finance and Operations François Guèdenet, and the hard-working maintenance team. François Guèdenet reports, “a ton of work has already been done, but so far work has focused more on demolition than construction.” In the front of the building, half of the existing pavers have been removed. The entire front façade has been demolished to make way for two new classrooms. As you approach the building, you can now see construction workers walking around on the second floor – there is no longer any wall to block your view! At the back of the building, the outside walls have been stripped in preparation for installing the glass nano-doors in the Rothschild Multipurpose Room. Upstairs, the walls and ceilings of the library and classroom 238 have been torn out. Both upstairs and downstairs, a noisy Zamboni-like machine has removed all the tiles from the floors. 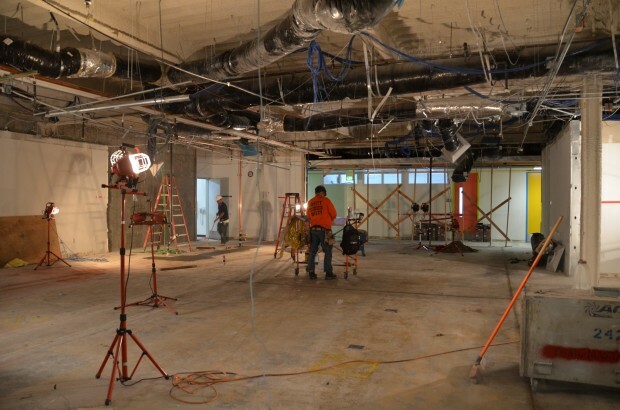 Downstairs, demolition has created a wide-open area that will soon house the new Media Hub. Mathieu Farrugia has seen all the downstairs demolition first hand. What strikes him most, he says, is “how impressive and large the media hub space looks, now that everything has been gutted.” The space will no doubt be even more impressive once all the improvements are complete. François Guèdenet is pleased that so far, construction is going very smoothly. He is especially happy to report that all work is currently on schedule, to be mostly complete when students return in the fall.